Departure Lounge is delighted to relaunch its autumn project programme at the Storefront with a new installation and a showing of paintings by one of Luton’s most fascinating and surprising artists Asiya Clarke. Clarke’s life and work are inspired by Sufism – the mystical aspect of Islam. Sufism requires a temporary loss of one’s own ego and an immersion in the universal. In both her sculptural installations and her paintings Clarke is drawn to the relationship between the parts and the whole. What part do we as individuals play in universal (and often undifferentiated) mass experience, and how do the forms and structures we find in the world around us relate back to human form? The title of her installation Die Before You Die comes from one of the prophet Muhammad’s sayings which suggests that there must be a ‘death of the ego’ before the essential self is revealed. Using found objects to playfully investigate the stripping away of the layers of personality, she creates remarkable, elegant and highly unexpected sculpture, suggesting the body and the humorous and melancholic process of negotiating the world. 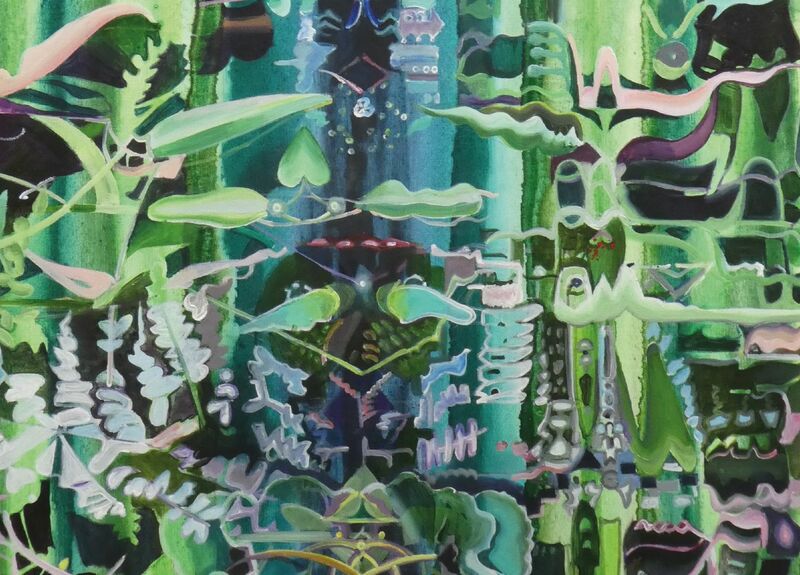 Seeking patterns in startling paintings inspired by images of water, Clarke finds within them symmetries, rhythms and multiple associations. As with her sculptural installations, she is fascinated by how and why particular images command and hold our attention, the familiar references we find in abstract forms, and by our search for meaning in the apparently random. Cosmic Sigh is organised by Departure Lounge in collaboration with Luton Culture and is part of ‘As You Change, So Do I’ a three-year programme of public art events funded by Arts Council England’s Luton Investment Programme.